Fallen Monument Park is a park outside the Krymsky Val building in Moscow shared by the modern art division of Tretyakov Gallery and Central House of Artists. The origins of this expatriate English name are unknown; in Russian, the park is either simply named Sculpture Park of the Central House of Artists or referred to by its legal title, Muzeon Park of Arts. Muzeon Park was established by the City of Moscow in 1992 and currently displays over 700 sculptures. It is split into themed sections, i.e. 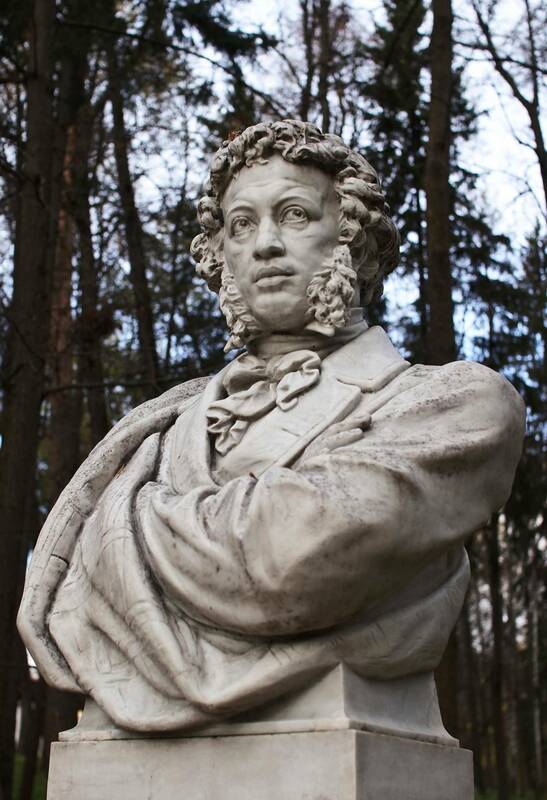 the Oriental Garden, Pushkin Square, Portrait Row, although the best known part — the fallen monuments themselves — appeared here before 1992. 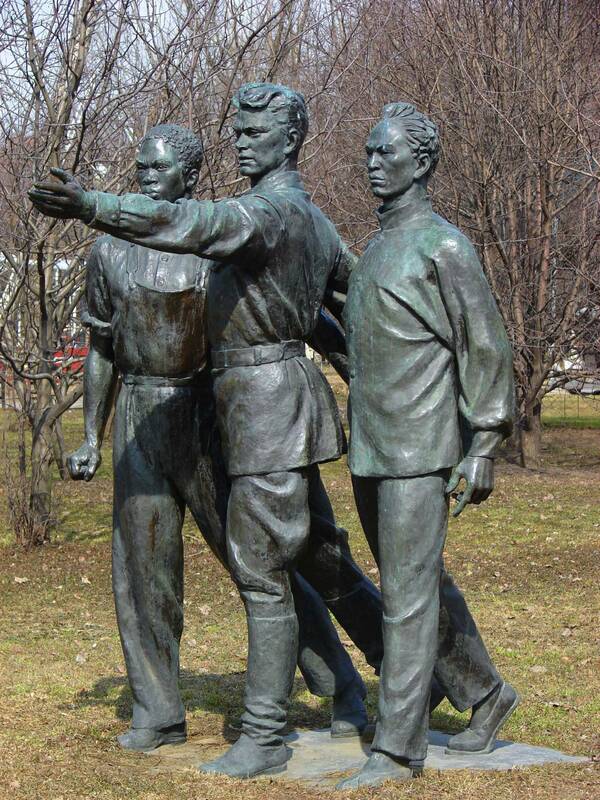 In October 1991, when the Soviet Union collapsed, smaller socialist realism statues of Soviet leaders and unidentifiable workers and peasants were removed from their pedestals, hauled to the park and left in their fallen form. They were rectified later, although missing original pedestals. In 1990s these statues shaped the park outline, but as more and more modern sculpture was added and as the young trees grew up, they became a less obvious minority. 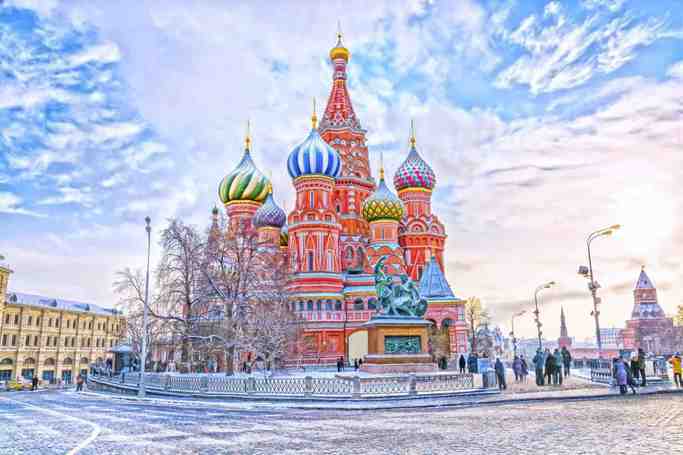 Opening animation in the film GoldenEye and one of the levels in the Nintendo 64 game of the same name were based on images of the fallen monuments, although in both the game and film the park was located in Saint Petersburg. In 1995, Muzeon added a World War II section - these sculptures, of the same socialist realism vintage, were never displayed in open air before. In 1998 the park acquired 300 sculptures of victims of communist rule made by Evgeny Chubarov, installed as a single group. The park also holds temporary summer shows of modern artists. The future of the Park is, most likely, doomed by Elena Baturina's decision to demolish the gallery building and erect a Norman Foster-designed Orange — a mixed-use project spanning the current territory of the park. While the architect plans to allot some of the Orange to the galleries, the project simply leaves no place for the park. Fallen Monument Park | eTips Inc.